Below you can view all the highrises for sale in the Mandarin Oriental subdivision located in Las Vegas Nevada. Listings in Mandarin Oriental are updated daily from data we receive from the Las Vegas multiple listing service. To learn more about any of these highrises or to receive custom notifications when a new property is listed for sale in Mandarin Oriental, give us a call at 702-323-5939. Crystal marble tile, custom cabinetry,Dacor appliances, state of the art features throughout.This residence appeals to all lifestyles.View Waldorf Astoria 2503 on YouTube. MLS#2090263. Windermere Anthem Hills. LIVE IN THE ONLY TRUE TRIPLE FIVE STAR BUILDING IN VEGAS w/ WORLD CLASS AMENITIES & UNMATCHED LOCATION MLS#2089061. Award Realty. The combined offering would comprise 4 bed & 3 bath and total 4493 SF. MLS#2088873. MDB Realty. Onsite World Class Spa. Nothing Compares! MLS#2089014. Award Realty. Combined, the residence would comprise 4 bed and 3 bath and total 4493 SF. MLS#2088854. MDB Realty. The home is professionally decorated with the finest finishings including: hardwood flooring, Venetian plaster, designer wall treatments, spa-inspired baths and much more. MLS#2084766. BHHS Nevada Properties. Located in CityCenter within walking distance to world-class shopping, fine dining, entertainment and the event filled T-Mobile Arena. MLS#2085035. Luxury Estates International. Unit is fully automated with mountain and stadium views MLS#2083721. BHHS Nevada Properties. Beautiful, modern, very well kept Waldorf Astoria residence; fully furnished 1 bed/1 en suite/1 half bath; desirable Mandarin Oriental original floor plan located in Las Vegas' City Center; Stunning strip, city, & desert mountain views from floor to ceiling windows; Enchanting sunsets; Luxury high rise destination featuring dining, entertainment, wellness & rejuvenation, & shopping. MLS#2081691. Wardley Real Estate. Right Next Door To Aria, Crystals & Strip! MLS#2081181. Award Realty. Steps To Aira, Crystals, And The Strip MLS#2080833. Livello Realty. One of a kind Gourmet Kitchen w/Custom Quartzite Counter Tops & Illuminated Onyx Island, 250 Bottle Wine Fridge, Zebra Wood Artisan Ebony Cabinetry, Bali Bali Hardware, Grohe Fixtures, Wolf Appliances and so much more! A must See! MLS#2077601. Luxury Estates International. Located in CityCenter, you’re within walking distance to world-class shopping, fine dining and the T-Mobile Arena. MLS#2071260. Luxury Estates International. Steps To The Strip, Aria, Crystals, Art Galleries & The Finest Dining/Shopping In Vegas!! ! MLS#2070587. Award Realty. Photos Are Of Lower Floor Model Match & Finishes May Vary Slightly. MLS#2069964. Award Realty. Located in CityCenter, you’re within walking distance to world-class shopping, fine dining, entertainment and the new T-Mobile Arena. MLS#2067480. Luxury Estates International. Upscale kitchen, spa-like master bath, custom closets and more! MLS#2066711. Luxury Estates International. Contemporary and timeless aesthetic throughout - this beautiful residence in the sky feels like home. Find your luxury with LVREAL MLS#2064818. LVREAL. 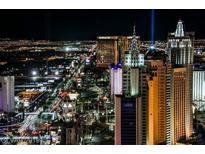 Ideally situated in the most desired building in Las Vegas, 41 Floors above The Strip, with every room offering the Premium Northern Strip/City Views (see photos). Residence is offered Fully-Furnished. MLS#2058138. Realty ONE Group, Inc.
Two spa-inspired master suites, white on white dream kitchen, stunning custom chandeliers & more! MLS#2054611. BHHS Nevada Properties. Live In The Most Prestigious High Rise & Enjoy 5- Star Amenities Including Pool, World Class Spa, Tea Lounge, Posh Onsite Dining, 24 Hr Room Service, Concierge, Valet, Right Out Your Door Is Crystals & The Finest Entertainment In The World! MLS#2048065. BHHS Nevada Properties. 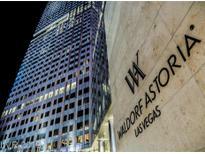 Live In The Most High End Building In Vegas Featuring World Class Service And Unparalleled Amenities Including Five Star Onsite Dining & Phenomenal Spa!! ! MLS#1976321. Award Realty.